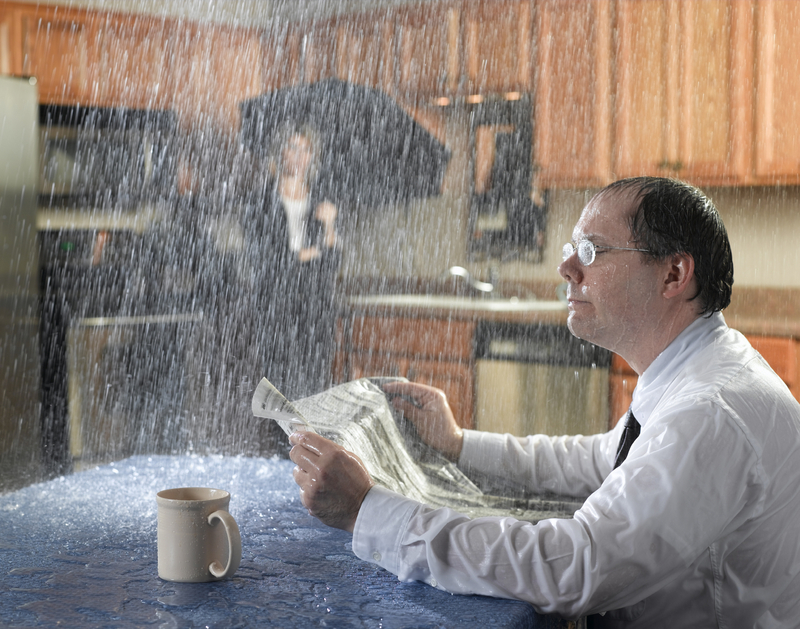 Roof Leaks - Northern VA & Maryland - Virginia Roofing & Siding Comp. 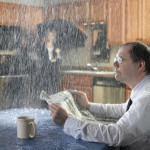 Roof Leaks: Roofing Repair Services in Northern Virginia, Maryland, and Washington D.C.
Got a leak in your roof? No problem, call Virginia Roofing and Siding Company to have the experts over in no time and your problems fixed even faster. We offer reasonable rates for roof leaks and all roof repairs. 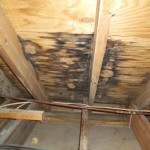 We will locate the leak and the cause of the leak and efficiently and quickly put a stop to it. Here at Virginia Roofing and Siding Company we offer quick and reliable services for all homes and business’s residential and commercial building in the tri state area. We will help you pick the best roofing material for your roof. We use only quality roofing supplies ranging from asphalt roofing shingles, cedar roofing shingles, to metal roofing shingles. Leave it to us! Virginia Roofing and Siding Company is a licensed roofing contractor, ready to come to your home in a flash, to meet you and your leaking roof with the best solution possible. Overly dry and cracked flashing and sealant. 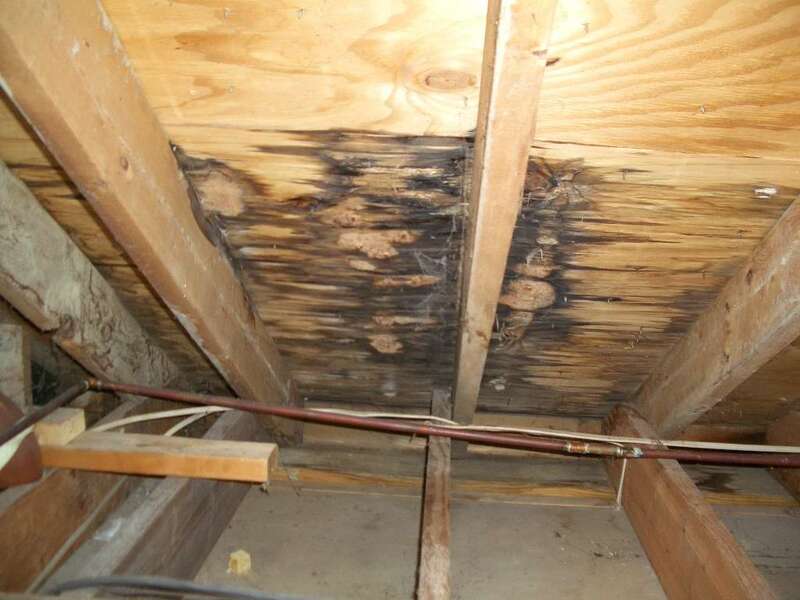 Algae, moss and mold are major signs of a roof that is leaking and in need of repair Roofs in need of repairs occurs most often in warm, humid climates such as the eastern United States. 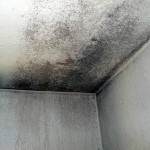 This is caused by overgrowth of airborne fungi or algae deposited on roof and can be seen as dark streaks across the roof.Mold is a serious health hazard. 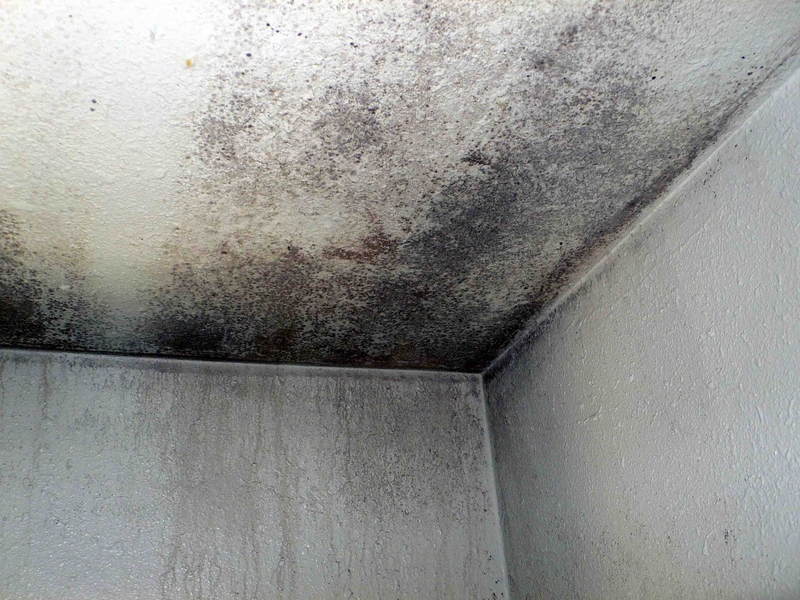 Mold is particularly hazardous for people with asthma and could cause respiratory problems in anyone. 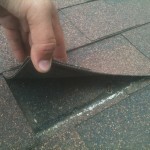 Buckling, warped and curled shingles are also a single that a roof needs to be repaired. 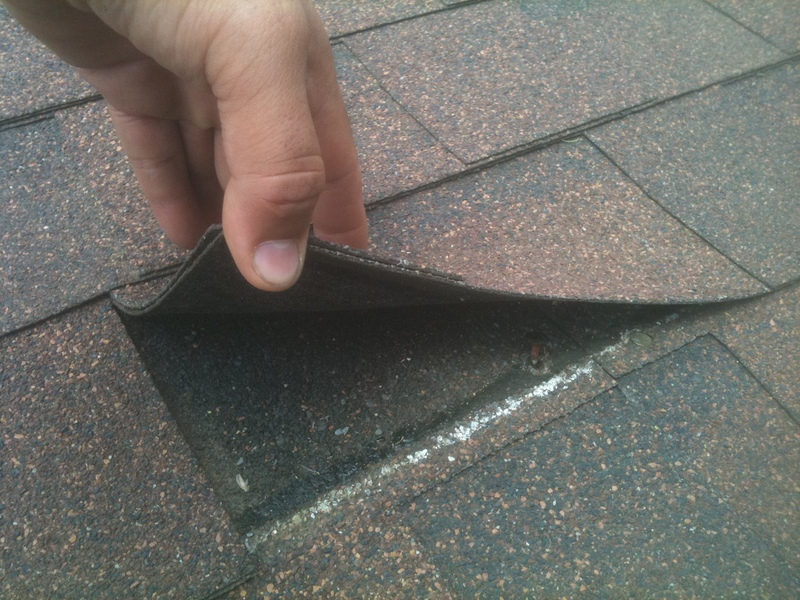 Buckling and wraping of shingles are a sign that water is being absorbed from the exterior. It is also a sign that that humidity is being absorbed from the attic from inadequate ventilation. Attic moisture Result of hot and humid air being trapped in the attic, with lack of ventilation. Without vents to create circulation, air trapped in the attic will get hot and consequently bake the roof’s shingles, causing them to deteriorate rapidly. Don’t wait until it’s too late! Call Virginia Roofing and Siding Company at the first warning sign! Northern Virginia Roofing and Siding Company offers reliable residential and commercial roofing repairs, with quality materials from trained professionals. Servicing the greater Northern VA area as the best roofing and siding company, we will provide you with exceptional service, honest work with a friendly, prompt and intelligent staff. Northern Virginia Roofing and Siding Company is a premier residential and commercial roofing contractor, but we are more than just your average roofing company. We provide outstanding service for siding, windows, gutters and more. We also offer full room additions, remodeling, renovations, and we specialize in building dream homes from the ground up. Call us today to schedule a free in-home consult! We service and work within Arlington County, Fairfax County, Oakton County, McLean, Clifton, Fairfax Station, Great Falls, Oak Hill, Ashburn, Falls Church, Alexandria, and Burke Virginia. And that’s just to name a few! Call us at 703-665-3525 to schedule your in-home consultation today! Have some very specific needs? Get a custom tailored proposal and an in-person expert to take a look at your home.